I have my first finished quilt of 2016! My Friendship Galaxy skinny mini quilt has been hanging around for months, waiting to be quilted. 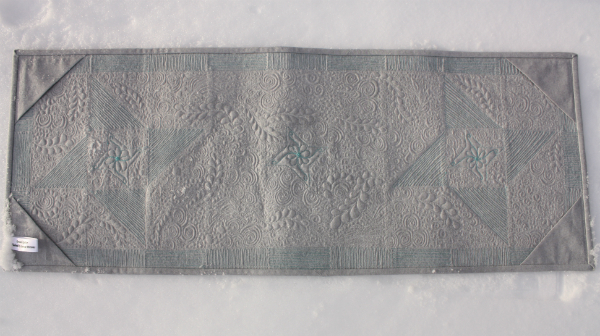 I finally got around to it a couple of weeks ago, and I had so much fun quilting it! I shared my 5 things I learned while graffiti quilting post and then a couple of days later there was a discussion on Yvonne's blog (Quilting Jetgirl) about the name for this type of quilting. 'Graffiti quilting' was coined by Karlee Porter to describe her style of quilting which is based on actual graffiti. I used the term because Karlee's quilting also incorporates a mix of quilting designs, but there is no denying that Karlee's style is very different from mine. The discussion on Yvonne's blog involved a bunch of people in the comments, working together to come up with a term that would work for us collectively. 'Flow quilting' is the term that has come out on top, and I feel it's a much better description of my style than graffiti quilting, so that's the term I'll be using from now on. This mini quilt measures 11" x 29" and the pattern is included in my Friendship Galaxy Baby Quilt pattern, which is available in my Etsy and Payhip shops. 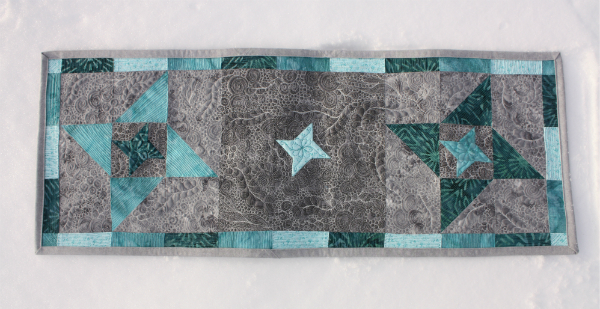 I really, really love the quilting on this one! It shows up even better on the back. You can also see the four triangles I added for hanging. I'm not sure what I'll be doing with this quilt, so I figured I'd make it easy to hang it every possible way and then all the bases are covered. One more shot, just because I love this one! I'll be linking with Sew Cute Tuesday, Let's Bee Social, NTT, TGIFF, Can I Get a Whoop Whoop and Finish it up Friday. This is absolutely gorgeous quilting! One of the best examples of graffiti quilting I've seen! Thanks for sharing at Sew Cute Tuesday! I don't care what you call it, the quilting on this one is beautiful! Great job, and hey, I don't mind all the photos! 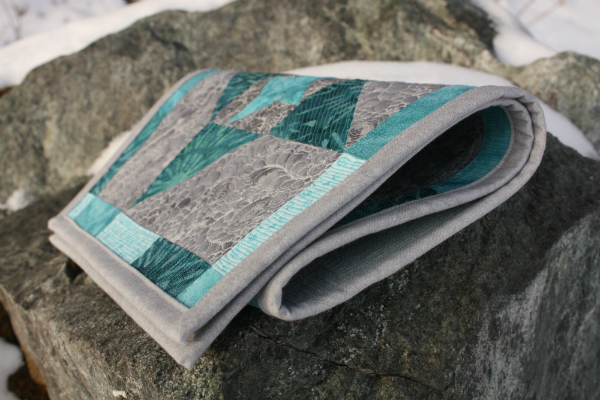 Very cool - quilting looks amazingly well in your photos! Whatever kind of quilting it's called, it's amazing!! You did a great job. You should be proud. What a great advert for your pattern Leanne! It's beautiful Leanne. 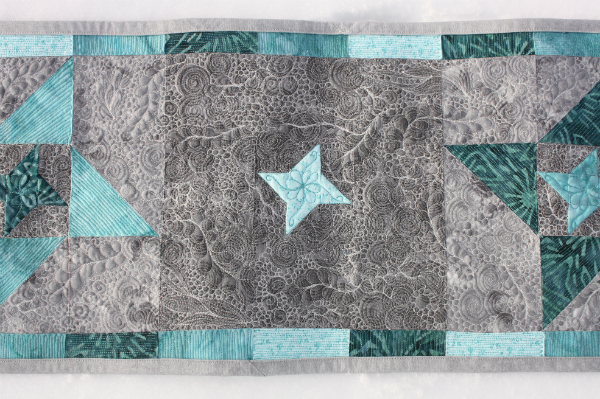 Your quilting is amazing and I love the grey background fabrics that you used. The thread and fabric combo on the front if gorgeous. Love the quilting. Can't wait to try some of that myself. Super quilt and awesome Flow Quilting! Love the way the quilting shows up on the back. Just plain gorgeous! 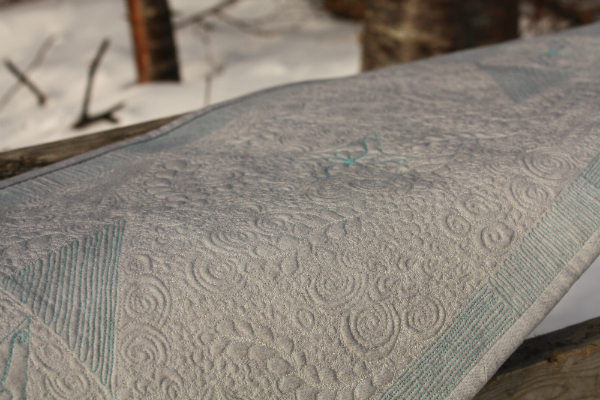 The quilting is amazing and flows perfectly! I'm so tempted to give this a try!! skinny mini! cute. 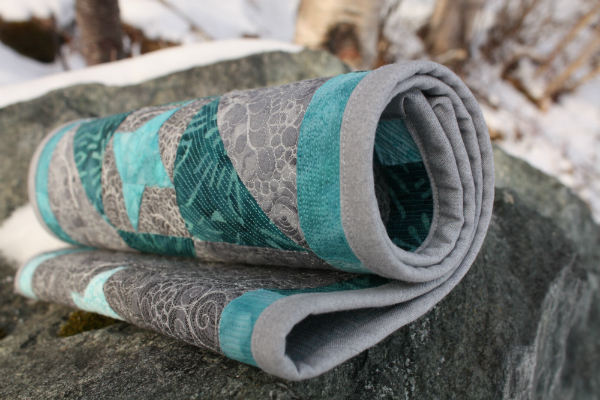 =) it's got some pretty cool colors for winter and that graffiti quilting is pretty amazing! so pretty and I love your "flow Quilting" !! Your fabrics are beautiful--what a cute project! Wow! 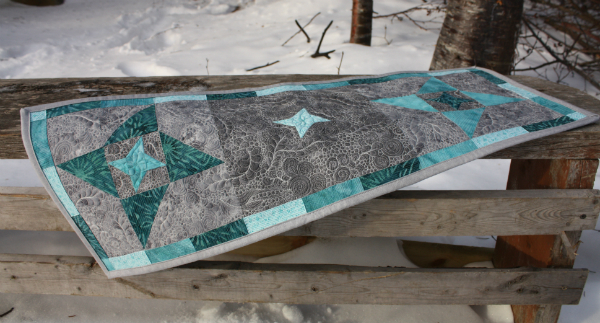 The quilting on this looks so cool! I love it! So beautiful! Congrats on your first finish for the year.